Kiss of the Rose Bouquet is a hand delivered gift. These gifts are delivered by one of our local design centers located throughout the United States and Canada. Same day delivery is available for most gifts when ordered before the cutoff time. 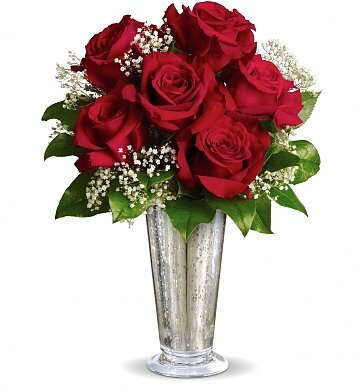 The cutoff time for Kiss of the Rose Bouquet is 2 PM in the recipient's time zone. My boyfriend was surprised and very pleased with his bouquet. The driver had a task of finding him. He works at csx but there are three different ones in the area but that didn’t stop them from finding him! !